What can money buy? Well quite a lot! On my travels back from the Black Hills I stopped off in North Platte Nebraska just to see what money can buy. My destination was Scout’s Rest Ranch just north and west of this growing community. 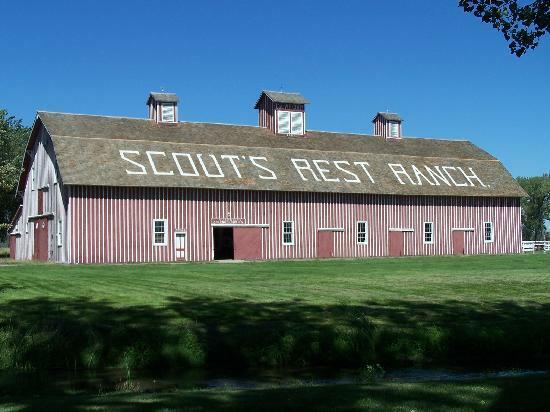 Scout’s Rest Ranch was the retreat home and entertaining oasis for Buffalo Bill Cody. He built his ranch during the height of his Wild West Show entertainment era. Buffalo Bill called North Platte home, although he was away for many more days than he was actually there. The grounds of this historic park are beautifully kept. 233 acres of the original 4,000 have been designated a state historical park 16 of which encompass the actual living space of the Cody family and are open to the public to explore. The rest of the 233 acres are part of the state parks of Nebraska. Camping, picnicking, hiking and relaxing are available. 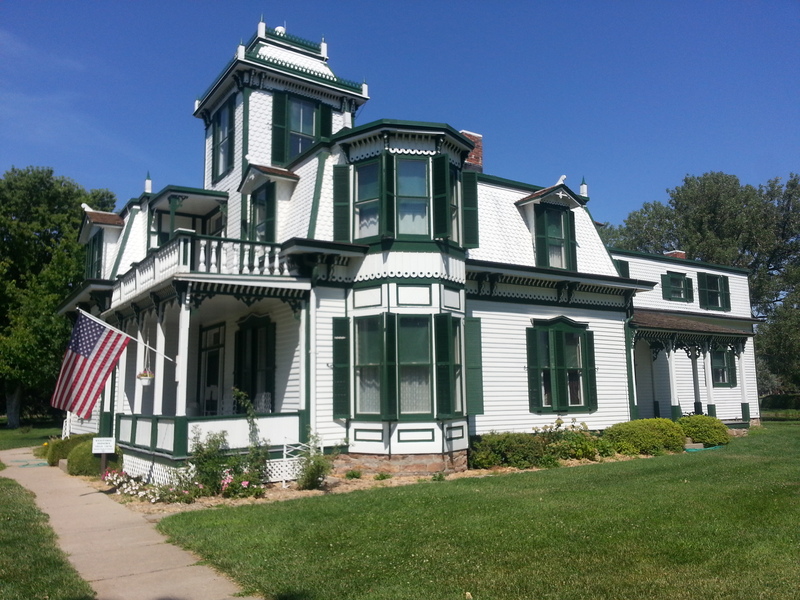 The Victorian mansion was built in 1886 at the cost of $3,900. No expense was spared in the construction of his home. Large, graceful living areas were furnished to Buffalo Bill’s liking. Areas open to large numbers of guests invite you to stay awhile and enjoy the respite from the wide open and usually dusty plains. Two huge barns also graced the property. The original horse barn is still standing. Giant white letters on the roof, which are original to the barn, announce where you are, in case you forget. The enormity of the barn leaves no room for doubt of the wealth the owner once possessed. Pictures on the wall showcase the T-barn which was adjacent to the horse barn but burned down in a fire long ago. This bygone era is richly displayed with memorabilia throughout the buildings. Posters hung on the walls advertising this American icon remind you of a time when simplicity was not that simple. Fame does have a price and even the richest among us long for more in their lives. I love your line about simplicity at the end of your post. How true that those days took so much hard work! Nice post. Thank you! The simplicity of the time did not make it an easy time. People worked very hard for the things they did have.